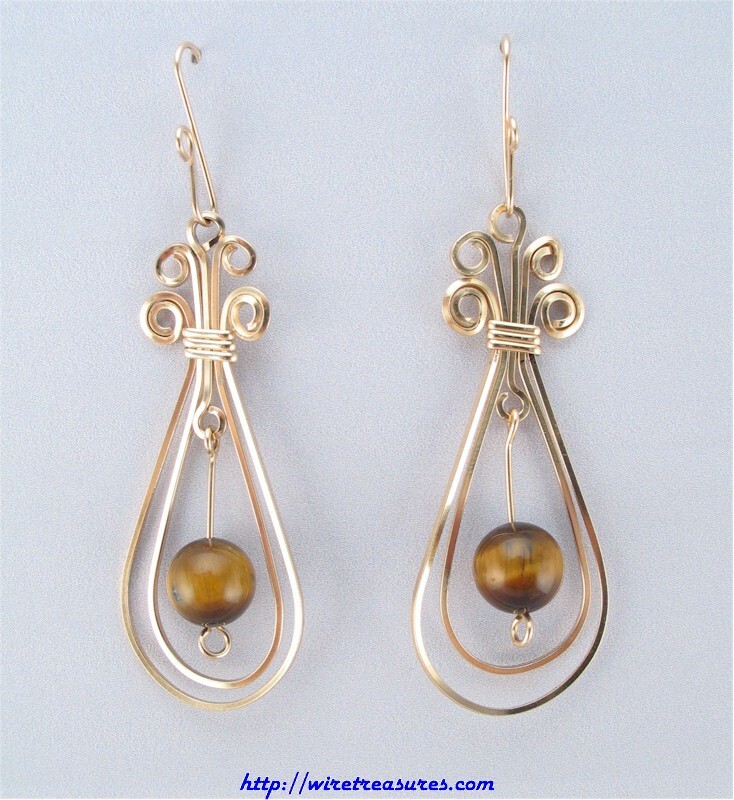 Long loops descend from the flowery tops of these earrings. A single Tigereye bead hangs from a wire in the center of each loop. Very elegant earrings! You are visitor number 5,157 to this page.